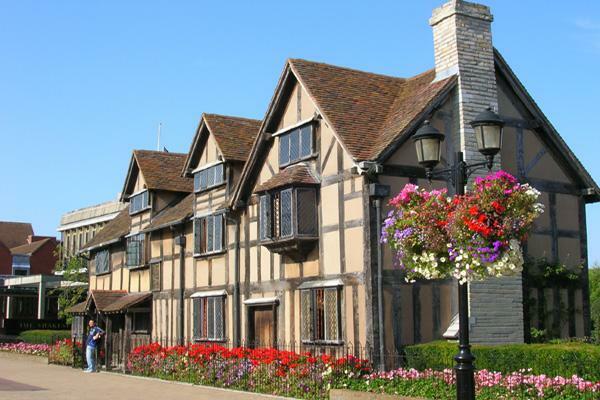 Apart from the well-known attractions of Shakespeare's Stratford - the town with tea shops and antique shops to browse around, Shakespeare's and Anne Hathaway's cottage, the river, the theatre and plenty more. To the south the Cotswolds towns such as: Chipping Campden, Moreton-in-Marsh, Stow-on-the-Wold. Stratford is home to The Stratford Racecourse, The Stratford Literary, Arts and Food Festivals (see the Stratford What's On). The world-famous National Trust Gardens of: Hidcote Manor and Kiftsgate are just 5 miles away. Click here for views of Historic Stratford in a collection of pencil drawings.